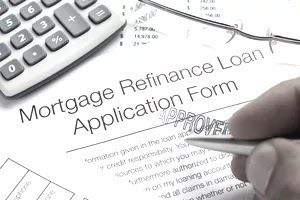 It's has been common practice in the past to refinance a property and then expense the additional interest against property income, as long as the amount borrowed was still smaller than the original cost (or the value when the property business started). But in April 2017 HMRC rewrote its guidance to restrict deductions to those cases where the proceeds of the loan are actually used in the property business and not for other purposes. You purchased a buy-to-let property for £120,000 with a mortgage of £90,000 and let it to a tenant straight away. Three years later the property is valued at £150,000 and you increase your mortgage on the property to £115,000. All of the interest on the mortgage can still be claimed as a revenue expense as the loan doesn’t exceed the initial £120,000 value of the property when it was introduced to your letting business. If you increased the mortgage to £125,000, the interest payable on the additional £5,000 is not tax deductible and cannot be claimed as a revenue expense. If you increase your mortgage loan on your buy-to-let property you may be able to treat interest on the additional loan as a revenue expense, as long as the additional loan is wholly and exclusively for the purposes of the letting business. Interest on any additional borrowing above the capital value of the property when it was brought into your letting business isn’t tax deductible. HMRC are now suggesting that the withdrawal of initial capital to spend personally (eg. on a new house) by way of a loan will result in non-allowable interest. HMRC accepts however that, had the original funding been provided by way of a loan the interest would have been deductible in full. They are in effect arguing that ITTOIA 2005 s.34 (expenses not wholly and exclusively for trade and unconnected losses) has an overriding 'wholly and exclusively' requirement and the the purpose of the loan is not qualifying. A case is coming to the First Tier Tribunal that will test the new resolve from HMRC and we'll update the article once we know the outcome.